Professional Photos with artistic value capturing moments in time precious to all with no compromise on quality. Emotive photos with a touch of class. The moments that changed your life are captured effortlessly and delivered in an album. The candid method is used to showcase your best moments in their natural grandeur. Studio photos meticulously setup for expressive photos. Photos can be done at your homes for a personal touch or designated locations of your choice. Currently promoting and working with Miss India South Africa 2010 - Bonnita Samputh and Mr Pride of India 2010 – Andrew Govender. Our Promotional work includes articles for CLEO Magazine, Get it Magazine, Trendy Frenzy Magazine, Post Newspaper, Expresso, Sisterhood TV show, etc. An inundated market - yet we believe that our company is the one with a difference. 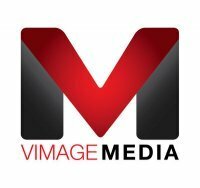 Vimage Media is the bridge that allows anyone interested in the industry to overcome their hurdles. We have an experienced team who judge pageants and run model workshops. Vimage Marketing runs yearly competitions: Face of Vimage, Baby of Vimage, and Couple of Vimage to promote and help our upcoming models and fans who need professional pictures. Our Aim is to promote title holders, upcoming models and designers. Whether you’re planning to hold an exquisite dinner party, an elaborate birthday celebration, fashion show, pageant, a conference, corporate gathering or the wedding of your dreams, we can help you! Vimage Event Coordinators are ready to get started planning your event. Every event is memorable to those who host it as well as those who attend. No event should be left up to chance. You need creative professionals who will provide personal service to meet your event planning needs. Planning an event requires time, patience and knows how to find the right venue, book the best entertainment and find the right caterer, all at the best price and without jeopardizing quality. You have enough to do in your everyday life without stressing over getting everything just the way you want it. Vimage School runs courses and workshops on Photography and Modeling. Courses/workshops are provided for groups for fun interactive learning and also for one-on-one courses for those who prefer things more personal. Our courses/workshops give you detailed training about the subject that can help you advance and excel in the field. Courses run throughout the year and each student gets a certificate at the end of the course.